Fresh design graduates are being encouraged to get into crowdfunding early by a new initiative from London's Cass School of Art and Architecture. 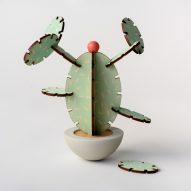 The Cass Starters programme has launched four graduate projects on Kickstarter, including ceramics moulded from used coffee-cup sleeves and a cactus-shaped toy called Wobbly Peyote. The initiative was founded by the students' tutor in their final year at the Cass, Peter Marigold. The London-based designer is an advocate for the use of crowdfunding, having enjoyed Kickstarter success with his FORMcard, a remouldable bioplastic that can be used to modify or repair broken objects. "I honestly think that crowdfunding is unrivalled," Marigold told Dezeen. "The alternative of using trade shows and exhibitions can be incredibly demoralising, but Kickstarter can reach the entire planet. I felt that my students had to be aware of this." Marigold assembled four students whose work was "internet-friendly" – simple to communicate, mass produce and post – for the programme. While the graduates themselves took the lead on their campaigns, Marigold, the Cass and London Metropolitan University provided support on elements like video, photography and marketing. The university's student enterprise programme, the London Met Accelerator, also provided resources. Launched on October 31, the projects have all since reached their crowdfunding targets, with six days to go. 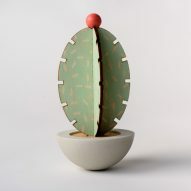 Particularly successful is Tim Summers' Wobbly Peyote, a cactus slot toy described as suitable for the playroom, desktop or dinner table. It has met its £1,500 goal three times over. 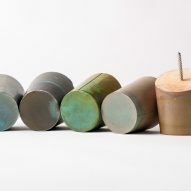 Another popular project has been Ray Gonzalez Brown's Cardboard Ceramics, which uses the Lost Cardboard Technique he devised at the Cass. 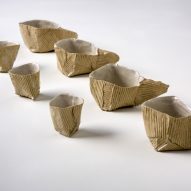 The designer creates a mould from used cardboard coffee-cup sleeves, and then lines it with clay. 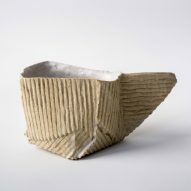 In the kiln, the cardboard burns away, leaving just the ceramic cup, patterned with the corrugated texture of the sleeves. 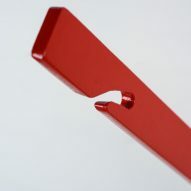 The Test Cups project by Isabel Farchy uses a material of the moment, Jesmonite, in coat hooks and cupboard handles. 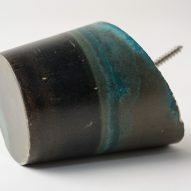 The Jesmonite is mixed with metal powders like copper, brass and iron so that it develops a patina. 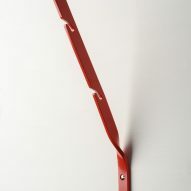 The final project, Hooked, a steel hook modelled after barbed wire holders, is by current student Nicholas Marschner, although Marigold believes a programme like Cass Starters is generally better suited to graduates. "It's a perfect stepping stone to take something that's been developed and launch it effectively," Marigold said. "It maintains the support of the university while placing emphasis on the graduates taking control of the independent campaigns." "I feel that current students should really be focusing as much time as possible on experimentation rather than commercialisation of their work," he continued. "This is something that, by necessity, should happen later on." 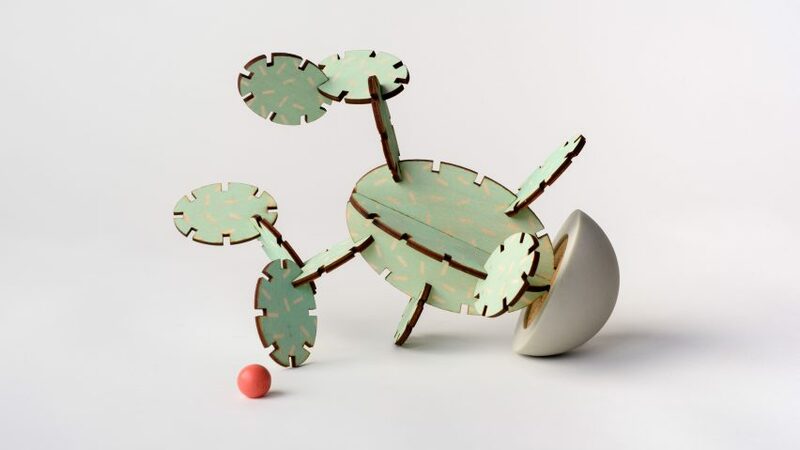 The influence of crowdfunding in contemporary design is reflected in this year's Designs of the Year awards, about to go on display at London's Design Museum. A number of the nominated projects – including Daan Roosegaarde's Smog Free Project towers and MAP's Beeline bicycle navigation system – had their launch on Kickstarter.